Since 1979, a cabal of nations has aided and abetted Iran in its efforts to develop a robust nuclear program under the guise of generating a nuclear energy system. This cabal is mainly comprised of Russia, China, and North Korea. Since sanctions began being placed on Iran in 1979, with more added since, Iran still had enough free reign to develop its capabilities despite the sanctions regime because of this cabal. All the moving parts are in place, the material is there, and this means they are already nuclear – “break out” is imminent now. During this period, North Korea had evaded sanctions, and like Iran, lied, cheated, and broke virtually every agreement it ever signed with the United Nations. Now North Korea is a nuclear weapons power, and we believe Iran has already done the same. Each had created hidden facilities but only North Korea has actually tested weapons fully. Because Iran has to date only detonated trigger devices that does not mean the Mullahs do not have weapons capability now because they certainly have enough material. Both Iran and North Korea are also fast approaching inter-continental missile capability, and Iranian government observers, research scientists, and senior military officials have been on-site in North Korea for the testing of its systems. In essence, Iran has had the benefit of having North Korea essentially do their development and testing for them. Iran has tested their launch systems like the Shahab series of launch and delivery vehicles and the attendant guidance and control systems, and they certainly had fine mentors along the way. The cabal has assisted Iran along all the pathways for acquisition of a nuclear weapon; from system requirements, specifications, prototyping, development, and acquisition. Iran has NEVER had to go it alone. These are facts. Please feel free to challenge our findings and discuss where you think we have gone wrong. The coalition of Russia, China and North Korea have assisted Iran in achieving a nuclear capable weapon. Since the 1979 sanctions have been in place, Iran has had free reign to develop their nuclear weapons program unabated. This weapons program was under the guise of a nuclear energy program for domestic energy production. China and North Korea during this same timeframe developed their nuclear programs, maturing same to include land-based and sea-launch weapons systems, testing their entire launch, delivery and detonation process through actual nuclear detonations. Iranian Government observers, research scientists, and senior Military officials have been on-site in North Korea for all their tests of nuclear component systems. In essence, Iran has had the benefit of having North Korea essentially do their development and testing for them. Iran was able to test their launch systems (i.e., the Shahab series of launch and delivery vehicles and the attendant guidance and control systems). Russia, China and North Korea always had the latitude and time to develop and test warhead design, fissionable material and detonation testing. 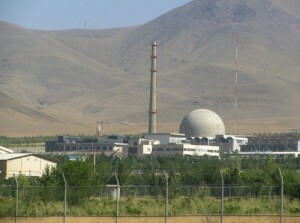 Iran participated onsite in most all of the scheduled testing. The coalition of Russia, China and North Korea have assisted Iran along all the pathways for acquisition of a nuclear weapon, from system requirements, specifications, prototyping, development, and acquisition. Iran has NEVER had to go it alone. The coalition support them 100%. It is now clear that since 2009, the Obama administration has crafted a plan that guarantees Iran will have a nuclear weapon, and the devil is in the details. For instance; the copy of the agreement handed out in English for the American delegation did not fully replicate the copy handed out in Farsi for the Iranians. The American delegation never mentioned this to the West and especially not to the American people nor Congress. The Iranian delegation read both the English and Farsi-worded agreements, and declared that while they agreed with the one in Farsi, the one in English WAS NOT THE SAME, AND WAS IN NO WAY ACCEPTABLE TO THEM. In addition, there are more devils in the details, and these are in the side agreements between Iran and the IAEA. We now know that one of those arrangements calls for Iran to actually be its own inspecting body. The fox gets to be the hen house security team. With Obama’s statement to Russian President Dimitri Medvedev in 2012, incoming President Vladimir Putin knew he had the green light on a host of issues with the now famous “live mike” incident. The green light was not just for missile defense, it also applied to all things Iran. We know this because Iranian Quds Force commander Qassem Soleimani was seen in Moscow despite a worldwide travel ban, just prior to Secretary of State John Kerry testifying before Congress on the agreement reached with Iran. Being proven communist sympathizers, John Kerry, Obama, and his henchwoman, Iranian born Valerie Jarret, it is demonstrable that their plan has always been to aid that cabal. Prime negotiator John Kerry, who has his very own place in Communist Vietnam’s War Memorial with a photo, recently admitted that his daughter married an Iranian-American who has extensive family ties to Iran. Incidentally, Kerry’s chief counterpart in the nuclear deal negotiations, Mohammad Javad Zarif’s son was the best man. We remind all that Barack Obama, mentored during his formative years by Frank Marshall Davis, a confirmed member of the American Communist Party, is also demonstrably not only predisposed to support all things Islam, he has a close relationship with the Muslim Brotherhood as has been proven in the “Betrayal Papers” series. Now that the agreement has become a settled international agreement, where the United States would be going it alone if Congress somehow negates our involvement in it, the world will release of up to $150 Billion in Iranian assets all but guarantees funding for their nuclear weapons program and their terrorist proxies, Hezbollah, and Hamas and others, to include Assad of Syria. What better way to wipe Israel off the face of the earth than a well-timed and specifically-delivered nuclear weapon? And what better time to “negotiate” a pathway to “achieving” a nuclear weapons capability, than when you already have one? It is important to note as well, that Iran has been designing plans for the United States as well, after all, intercontinental ballistic missiles are not intended for neighboring Israel, they are aimed at the United States and they have plans for an EMP already drafted. 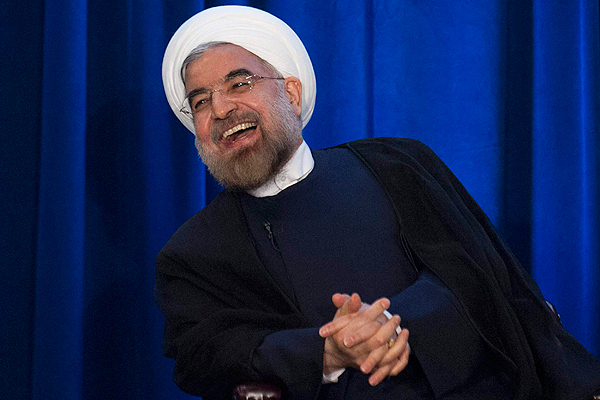 IT WON’T BE LONG BEFORE IRAN DETONATES ITS FIRST NUCLEAR DEVICE. In 2015, given that the Iranians have not agreed to any inspection of any facility for many years, and WILL NOT NOW AGREE TO INSPECTION OF NUCLEAR FACILITIES ON MILITARY INSTALLATIONS, the odds that Iran already has a nuclear weapon are really quite high. Why is it acceptable to so many that Iran gets to be its own inspector? The likely answer is, they know Iran already has the capability. With $150 Billion in assets already flowing their way, they will finalize the first series of deliverable weapons. A first-strike launch against Israel? Support of international radical Islam, the global Caliphate, and terrorism will accelerate worldwide. Nothing will stop Iran and its proxies now if the “Iran Deal” goes forward. 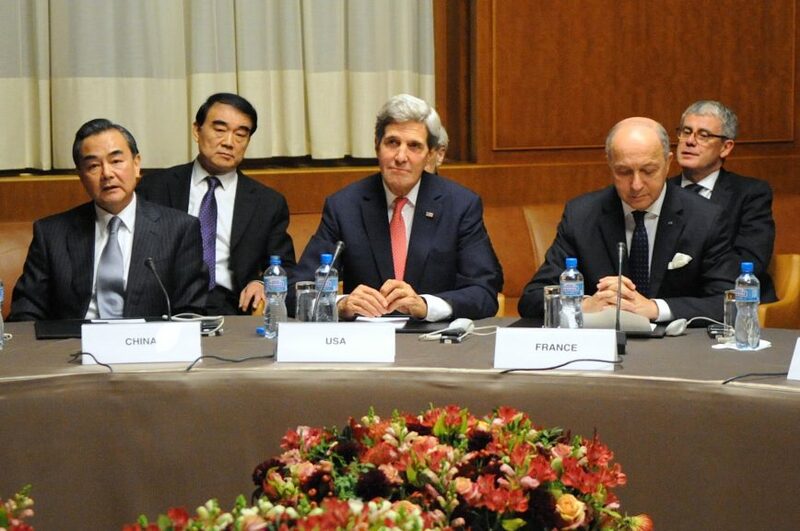 The so-called “Iran Deal” is moot at this time and not worth the paper it is written on. The cabal wins! MG Paul Vallely, US Army (Ret) is the Chairman of Stand Up America, the Legacy National Security Advisory Group and a member of the Citizens' Commission on Benghazi. LTC Denny Haney, USAF (Ret) is a standing Member of the ' Citizens Commission on Benghazi and Operations Coordinator of Special Operations Speaks (SOS).